Home / Maintenance Monday / Maintenance Monday: Build Ankle Strength! Maintenance Monday: Build Ankle Strength! 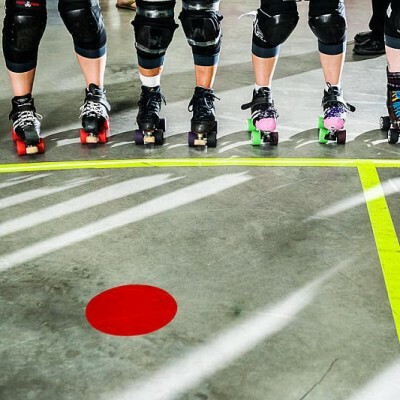 Every roller derby athlete needs excellent foot and ankle strength, in order to get the most out of our skates! Having stronger muscles in our lower leg will allow us to balance more easily, use our edges more effectively, and have a stronger skating stride. 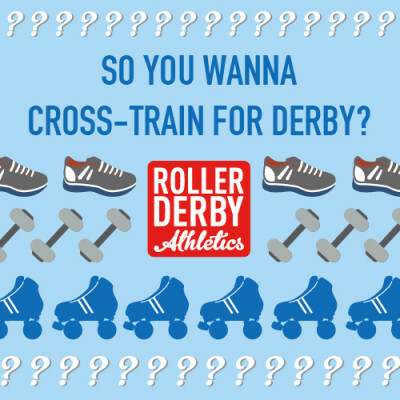 All super important roller derby skills, right? Today’s #MaintenanceMonday work is a very simple exercise – I should say, deceptively simple. It looks easy, but you might find it really challenging! It works on “proprioception” – basically your body’s awareness of its position in space. It’s what allows you to put your fork into your mouth without watching yourself in a mirror… but it’s also what allows you to walk, balance on one foot, and roller skate. You can do this while you’re waiting for the bus or the ATM (as long as you don’t mind some weird looks), on your coffee break, in the elevator (added level of difficulty! ), while studiously ignoring your toddler’s whining, or (my favourite) during boring conference calls. When to do this: Any time at all! Several times a day! Sets/Reps: Start with 30 seconds per foot at a time; work your way up to an uninterrupted balance of 60 seconds. Ideally, spend 3 minutes total, per side, per day initially, to build your strength and balance quickly. If you are looking for more foot and ankle strengthening, you’ll want to check out one of my all-time most popular posts, the Foot and Ankle PreHab video! Did you try this? What did you think? **Also – what do you think of that tank top? Want one? Tell me all about it by leaving a comment below! Love be this ankle exercise. I REALLY love that tank. As soon as you’re selling them, I’m buying! I coveted your tank before I watched the whole video! This is one of the rehab excercises my physiotherapist has me doing; so hard after a high ankle sprain! That tank top is the bees knees! I’d totally snag one! Love the tank. Love the timing of the ankle video! Thank you once again. I love your videos and your most excellent tank top! Thanks for the much needed video. And I totally need that tank. Yes please, on the tank top. Yes, please. Love the top. I love this exercise, it’s given me lots more confidence. Tank top is great. Love the shirt sorry i couldn’t see the that well, but hope you get it in royal blue. 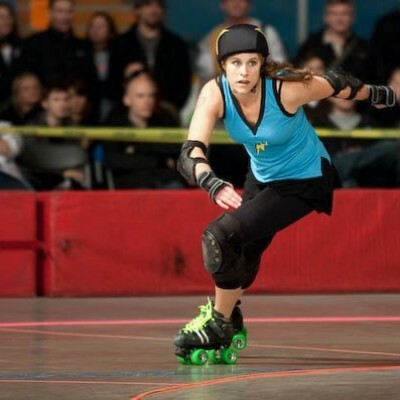 My derby name is Blu Hail Razor. How could I get one? ❤ the shirt and thanks for the ankle tips.